Mitsubishi Outlander Running Costs, MPG, Economy, Reliability, Safety | What Car? Brochure prices look high, particularly compared with the Nissan X-Trail, but substantial discounts can bring the actual purchase cost down to competitive levels. Residual values aren’t as good as those of many rivals, though. The hybrid version can travel short distances on electric power alone and should be cheap to fuel if you use it mainly around town. However, longer, faster trips, where more use is made of the petrol engine, will return fuel economy more akin to a regular petrol SUV. It’s also worth noting that the fuel tank is very small and you might only get around 200 miles from a fill-up. An important selling point of the PHEV is that its low official CO2 emissions result in extremely low company car tax bills. Private buyers who live in rural areas could find the diesel cheaper to run overall, though. Service intervals for all Outlanders are 12,500 miles or 12 months. 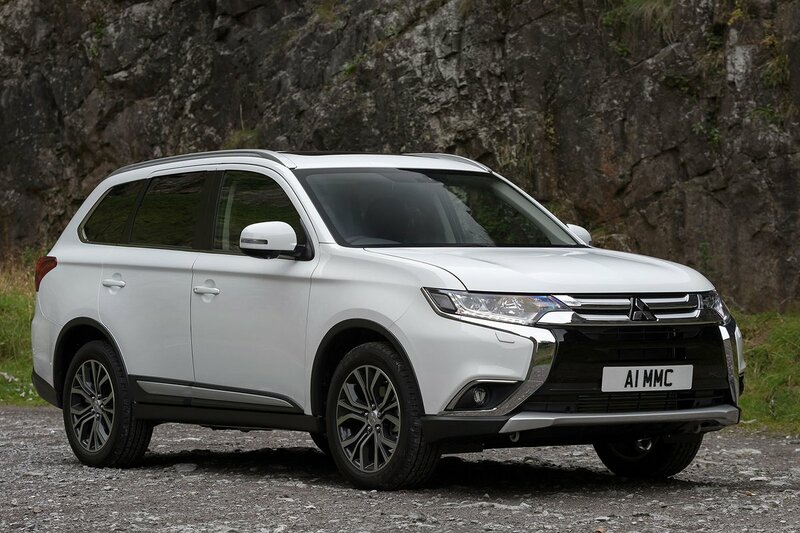 The Mitsubishi Servicing Plan – which fixes the price of the first three scheduled services – is worth considering but it’s not as cheap as schemes offered by many rivals. 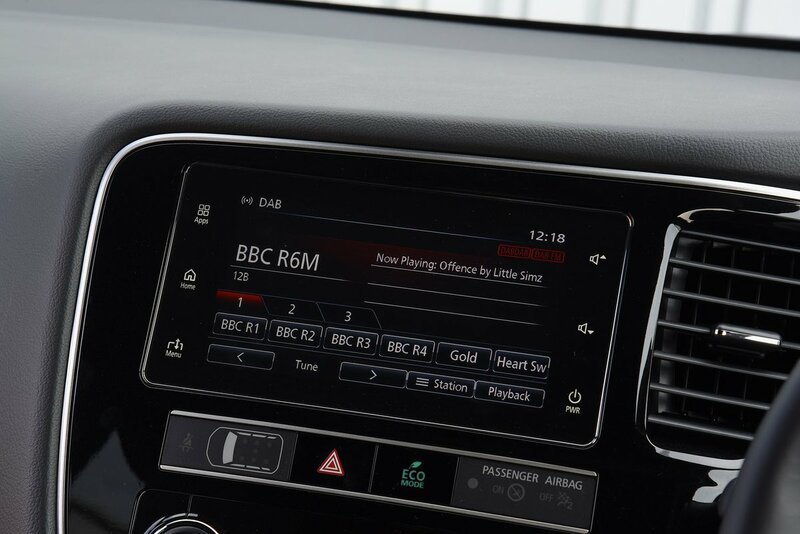 Entry-level 2 models lack Bluetooth and have only five seats, so we’d opt for the 3, which adds the third row of seats as well as dual-zone climate control, reversing sensors, Bluetooth and alloy wheels. PHEV Juro models have just the five seats, but add neat touches such as heated seats, heated electric folding door mirrors and automatic wipers that make the car feel rather more upmarket. Range-topping 4 trim ticks a lot more boxes including sat-nav, DAB radio, a 360deg camera, heated front seats, a powered tailgate, LED headlights and an electric glass sunroof. There's also a Black Edition which is available only in black white or grey with black wheels and black detailing. It's lavishly equipped, with a surround view camera, powered tailgate, LED lights, part leather seats, a reversing camera, touchscreen infotainment system and a heated steering wheel. The hybrid variant of the 4, called PHEV 4h, has similar equipment to the petrol and diesel version. However, we recommend stepping up to PHEV 4hs which also brings lane departure warning and adaptive cruise control. The flagship PHEV 5h and 5hs add luxuries such as premium nappa leather, an Alpine audio system and extra safety kit, but sends the price soaring way beyond the rest of the range and is difficult to recommend. Mitsubishi finished fourth as a brand in the 2018 What Car Reliability Survey. While neither the petrol or diesel Outlanders were ranked in our findings, the Outlander PHEV took third place overall in the hybrid class. The Outlander comes with a five-year/62,500-mile warranty regardless of engine type. All versions have a 12-year anti-corrosion warranty and three years’ pan-European roadside, home and accident assistance. All versions come with stability control and seven airbags, including one to protect the driver’s knees, but only the top PHEV models offer sophisticated safety measures such as lane departure warning, adaptive cruise control and automatic emergency braking (AEB), which applies the brakes in the event the car senses an imminent crash. 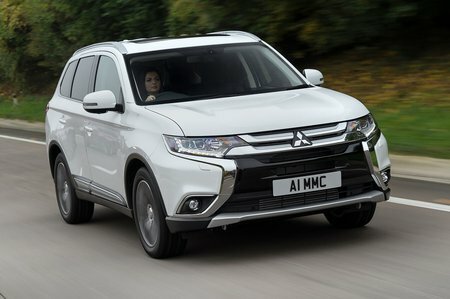 The Outlander received the maximum five stars in its Euro NCAP crash test, although it didn’t score as highly as some rivals. A space-saver spare wheel is standard on all diesel models, while hybrid models get a tyre inflation kit. Security kit is comprehensive. Thatcham Research awarded the Outlander five out of five for guarding against being stolen and three out of five for resisting being broken into.